1 Grind the soaked and drained chana dal (leave aside a fistful of soaked dal), ginger, garlic and green chillis to a coarse paste. Add the remaining chana dal, chopped onions, grated carrot, mint leaves, curry leaves coriander leaves, cumin pwd, garam masala pwd and salt and mix well. 2 Take some of this mixture to form a lemon sized ball. Flatten it on your palm to make a patti shape. Prepare patties with the rest of the mixture. 3 Heat oil for deep frying in a heavy bottomed vessel. Once its hot, reduce flame to medium and place these patties in the oil and fry them to a golden brown color. 4 Serve hot with tomato sauce or any chutney of your choice. 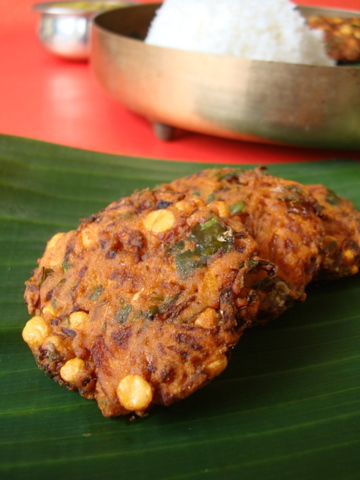 Hello Sailu, Ahhhh…vadas luks mouth watering…Love all your dishes. 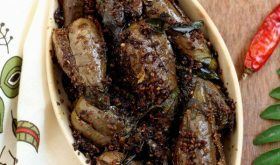 I love deep frying appetizers but for this can i saute onions/chillis and veggies and mix together and drizzle oil and bake them in oven instead of deep frying. Never tried baking but want to give a try. Any idea of taste if you tried it before?Let me know. Thanks a lot for ur blog. It helps us to learn and cook new dishes as i love cooking and exploring. You can try cooking in a ponganalu pan/Aebleskiver pan which requires very little oil for cooking. My version includes finely chopped spinach! This sounds great too! 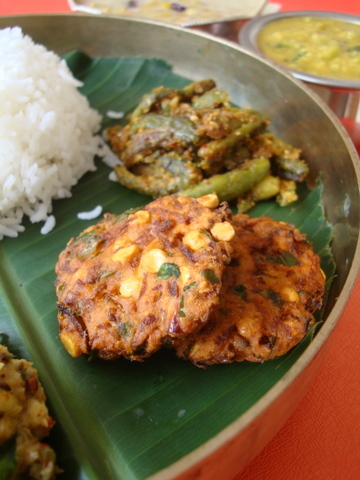 These Masala Vadas tasted yummy! I added fresh dill, crushed cinnamon and cloves… Came out very tasty… Thanks for sharing the recipe.. Love all your recipes and can count on them that they will taste great..
we have posted it on the facebook. Have made theses Vadas twice already. Tastes awesome! A must try!